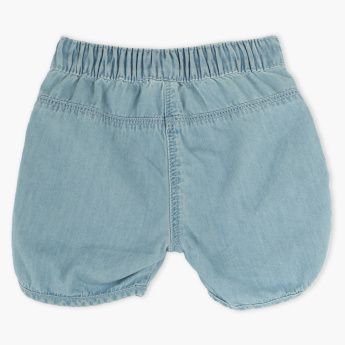 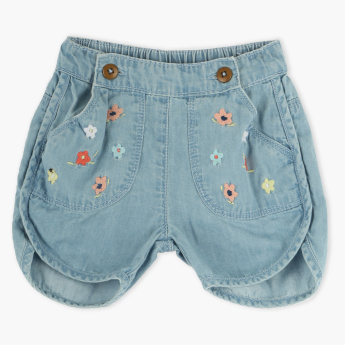 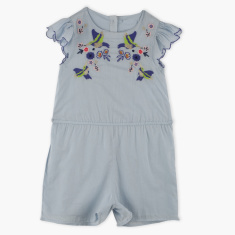 Grab this trendy and fashionable denim shorts with a good fit for your baby girl. This has elasticised waistband with button detail on both sides. 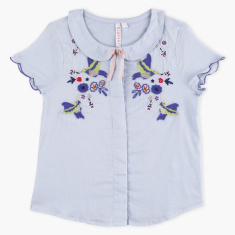 The embroidered design on the pocket looks smart and attractive.